It's been a busy week around here, and I haven't been able to find a whole lot of time for any new projects. 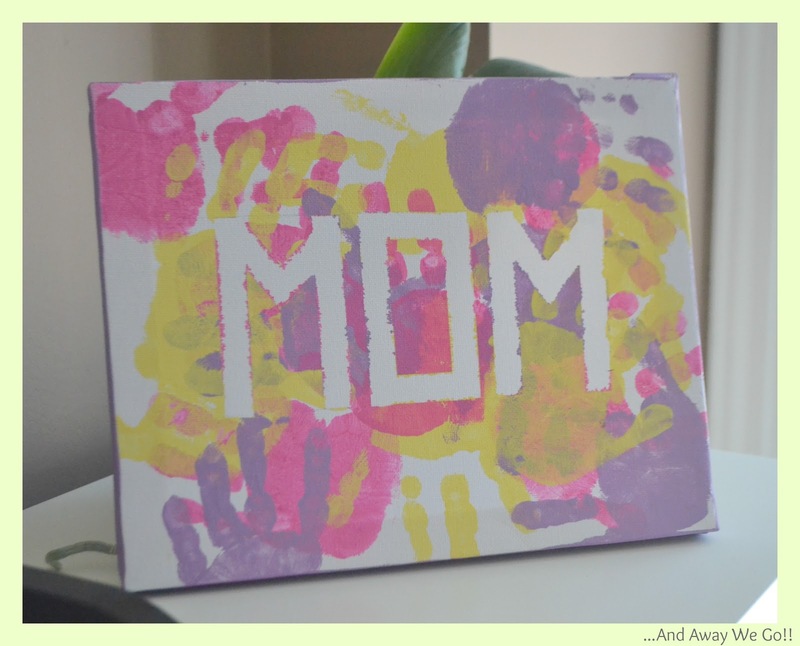 So, I thought I would share this adorable Mother's Day Painting that Andrew made at daycare. He was so proud to present me with his work... "I made this for YOU Mommy!!" with a huge smile! I absolutely love any craft that involves hand prints. It is such a great way to remember just how small those little fingers were! Thank you Andrew, for the beautiful painting, and Thank you Jackie for everything you do!